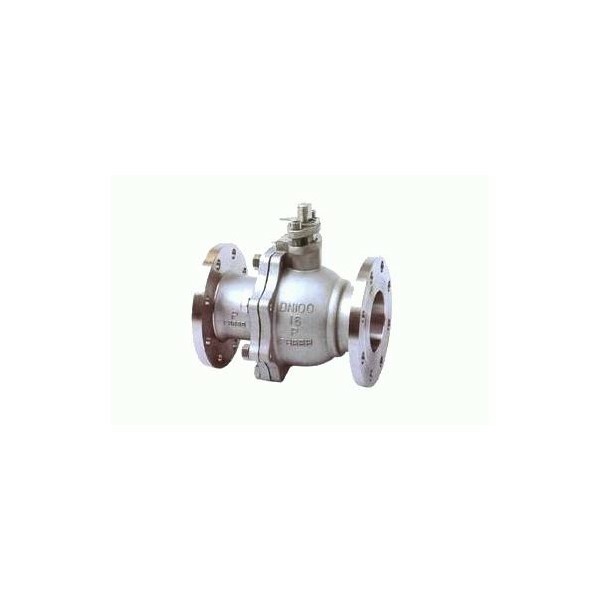 A valve with its ball floating (not fixed by a trunnion) inside the valve body is called as floating ball valve, it drifts toward to the downstream side and tightly pushes against the seat under the medium pressure to ensure sealing reliability. It has simple structure, good sealing performance, is usually used in middle or low pressure application. 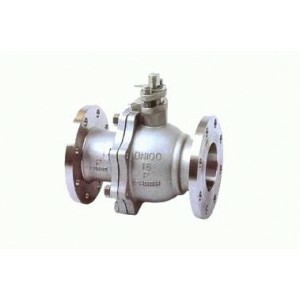 Floating ball valves of Sangong are suitable for use on various kinds of pipelines of Class 150 to Class 600, PN16 to Pn100 to turn on or off the pipeline medium; it can be operated by manual, worm gear and pneumatic or electric actuators. The structure design of elastic sealing ring has been adopted for floating ball valves. This seat design features a bigger sealing pressure ratio between the ring surface and the ball when medium pressure gets lower, where the contacting area is smaller. Thus, the reliable seal is ensured. When the medium pressure gets higher, the contact area between seat ring and ball becomes bigger so as to endure higher medium thrust without being damaged. In case of fire during application of valve, the non metal material parts such as seat sealing ring of PTFE, stem back seat gasket, gland packing, and the sealing gasket between body and bonnet might decomposed or be damaged due to high temperature and cause high leakage. Sangong adopted metal to metal auxiliary seal design to prevent leakage when accident. The design will be API607 and API SPEC 6FA, BS6755. A integral T-type shoulder stem which assembled from underneath has been adopted to provide blow-out proof effectively. It also function as a backseat to assure stem sealing safety at all pressures including abnormal pressure..
V type packing structure has been adopted to effectively transform the pushing force of the gland flange and the medium pressure into the sealing force against the stem. Controlled stem and stuffing box finish has also been adopted to reach better seal performance. The disc spring loaded packing system of SGV can also be adopted to make the sealing of stem packing more reliable and durable. Anti static device between ball and stem, stem and body are assembled by a spring& stainless less steel ball , which ensure all valve parts are grounding, to remove static caused by friction between ball and seat, prevent risk of fire or explosion. To prevent mis-operation, the 90 degree open and close positioning piece (Pad) with lock hole is designed, so the fully opened or closed position of the valve can be locked up, especially when the valves are mounted outdoors or when valves are not allowed to be opened or closed by unauthorized person. When the valve is opened, the handle is parallel to the pipeline, and when the valve is closed, the handle is vertical to the pipeline. The above information is for reference only, Sangong keeps right to amend without notice.